Williamson County voters moved their registration to the county from every state in the union except three. Check out our map to see where Williamson’s newest voters came from. Williamson County has collected around 9,000 new voters since the beginning of 2016. Right now, around 143,000 residents are registered to vote in the county, and they have all spread out among each of the house districts – 61, 63, 65. Nearly 1,000 have already early voted in the county. Every state in the union is represented on the map above, including the territory of Puerto Rico. New voters come from all over except from three states – Alaska, North Dakota and Wyoming. Relocations within Tennessee were the biggest driver of new voters, totaling 2,553. California came in second with 219 and Florida was third with 215. Alabama and Georgia were the top border states to bring in new residents. 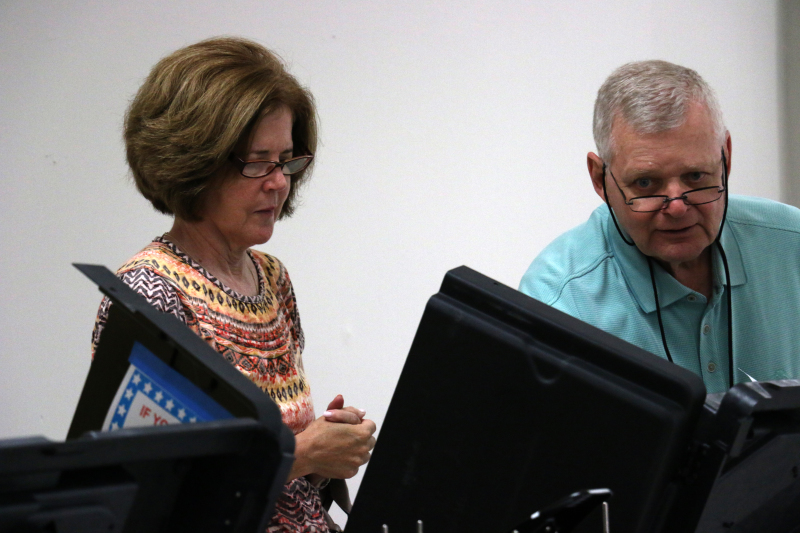 As to how it breaks down into precinct gets a little tricky, though, according to Williamson County Election Administrator Chad Gray. Some precincts have more than one district of voters, most of those split between House District 63 and House District 65. Splitting it into political subdivision, the First Presbyterian Church in District 61 had the most new voters at 373. The Westhaven Clubhouse in District 65 had 348 new voters. Prairie Life Fitness – split by District 61 and District 63 – also had 344 new residents on its voter roll. In Spring Hill, the Heritage Elementary School precinct area also experienced an uptick in new registration with 317 residents. On average, more new female voters registered than men. How that will translate into primary voter totals is also uncertain, Gray said, with most voters interested in the presidential election. For residents in Williamson County wanting to get a head start, early voting lasts between now and July 30. The two early voting polling stations are at the county Election Commission Office, located at 1320 West Main Street in Franklin, and the Brentwood Library, located at 8109 Concord Road in Brentwood. Hours for early voting will be from 8 a.m. to 6 p.m. on weekdays and Saturdays from 8 a.m. to noon. The polls will be closed on Sundays. Need to know who you’re voting for? Map created by Middle Tennessee State University’s MT Poll. All data comes from the Williamson County Election Commission.